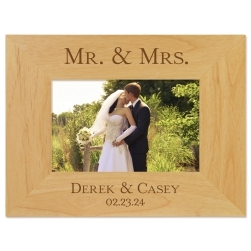 Remember your special event or family member with this beautifully printed Highland picture frame. 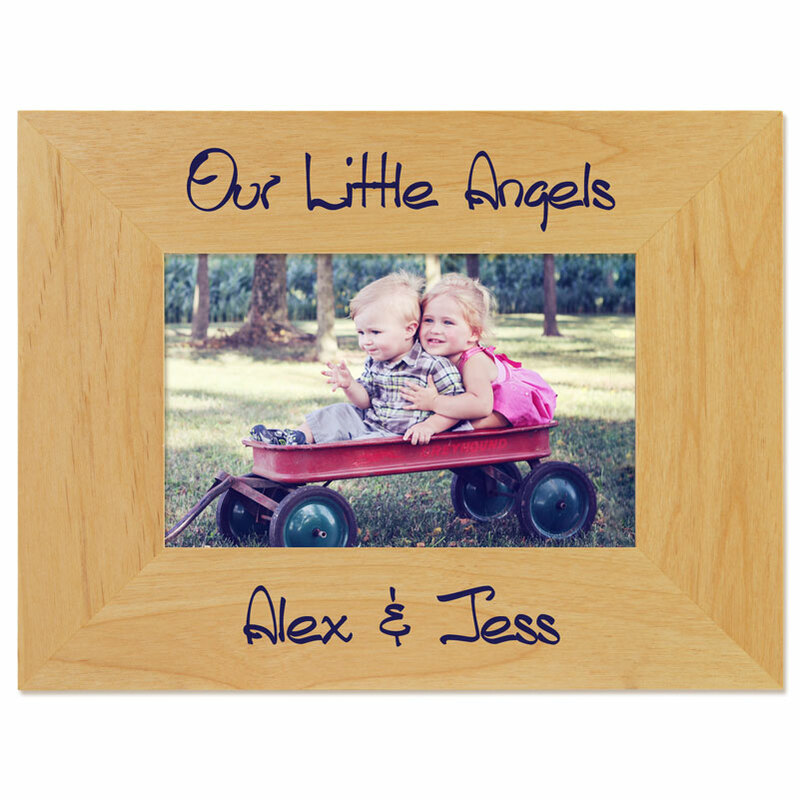 Your frame is printed in one of twelve ink colors. 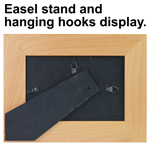 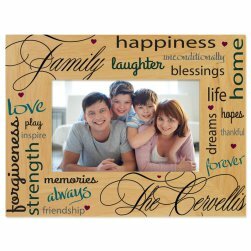 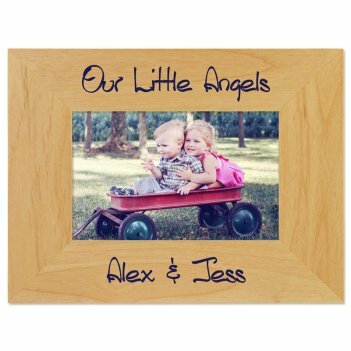 The Highland Picture Frame offers both top and bottom lines of text in your choice of 10 lettering styles. 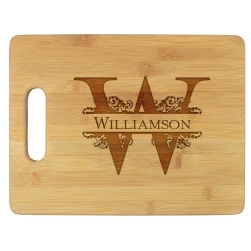 Your personalization is printed with the utmost precision into the beautiful Alderwood material.